With a roof made from GreenCoat® color coated steel, from SSAB, the Longhouse has been featured on the Dutch TV program BinnensteBuiten, and has further increased interest in sustainable building trends. 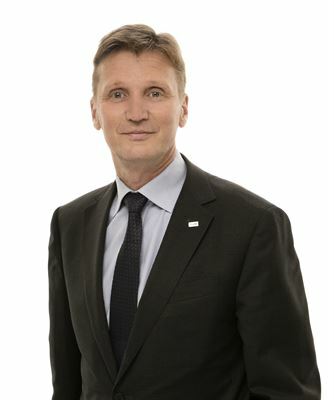 SSAB supplies innovative architects and building companies around the world with sustainable steel solutions and promotes their use in buildings. 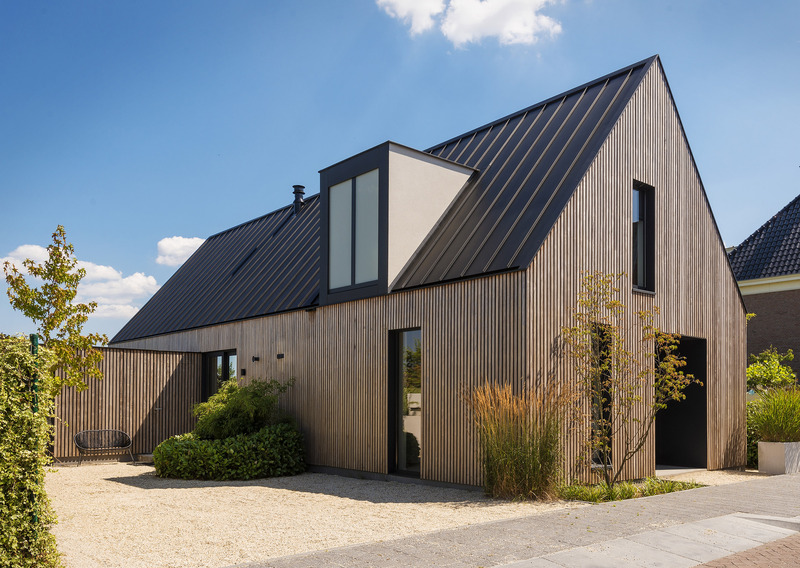 The Longhouse, a historic-industrial styled private residence in the Netherlands, designed by Rick Eijsbouts from Architecten Studio-pls, is a good example of this goal. 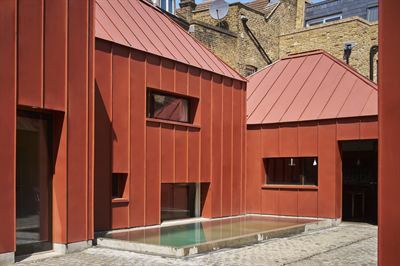 GreenCoat® color coated steel was chosen for the roof of the uniquely designed Longhouse due to a number of reasons. 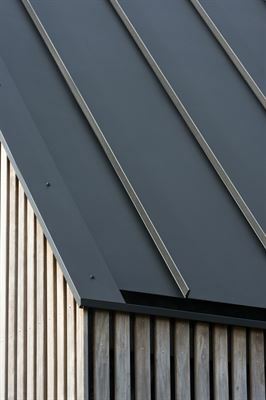 One of them was the ability to create sharp lines that match the wooden façade, for a very graphical house. Other reasons were proven long-lasting durability as well as sustainability. 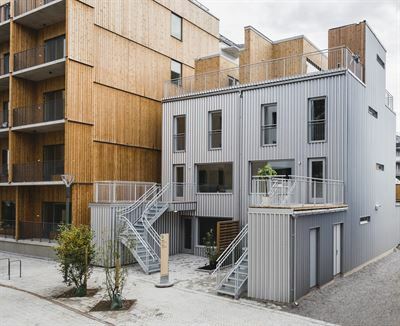 GreenCoat® color coated steels use Swedish rapeseed oil in the coating instead of fossil based oils, making them the greenest steel on the market for exterior building applications. Additionally, they are also strongly resistant to corrosion, UV radiation, buckling and scratches. 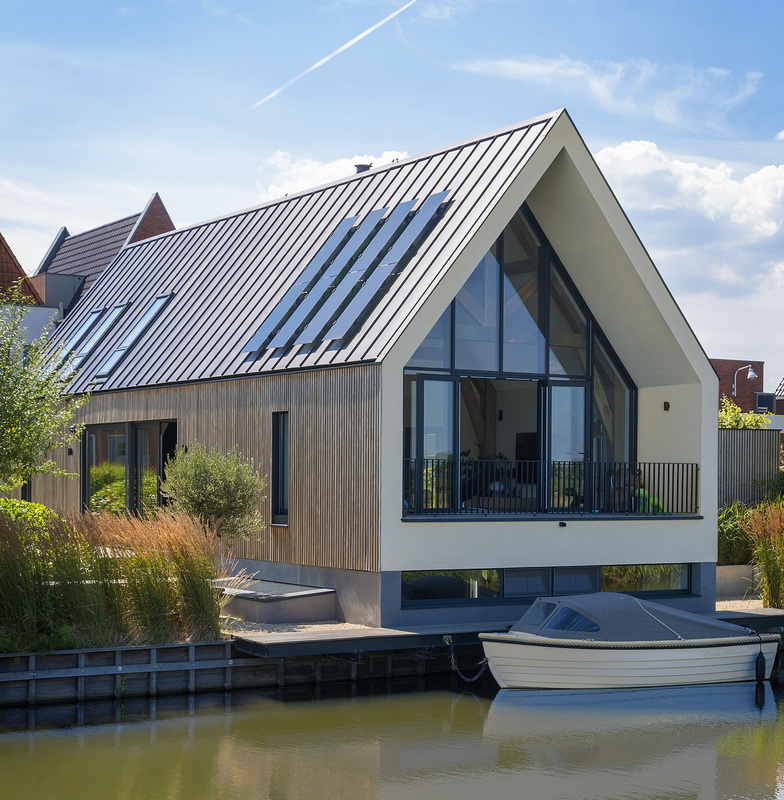 The seamed profiled roof was manufactured by SCH Holland who liked the easy handling and good formability of the chosen GreenCoat Pural BT, which contributed to a smooth build. 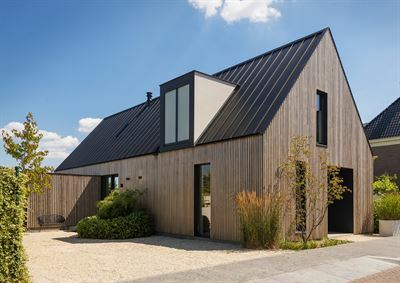 The Longhouse was recently featured on the popular home and garden program BinnensteBuiten on Dutch TV and was nominated for the 2017 BNA Building of the Year Award. - The Dutch Longhouse was nominated for the 2017 BNA Building of the Year Award and featured on the Dutch TV series, BinnensteBuiten. 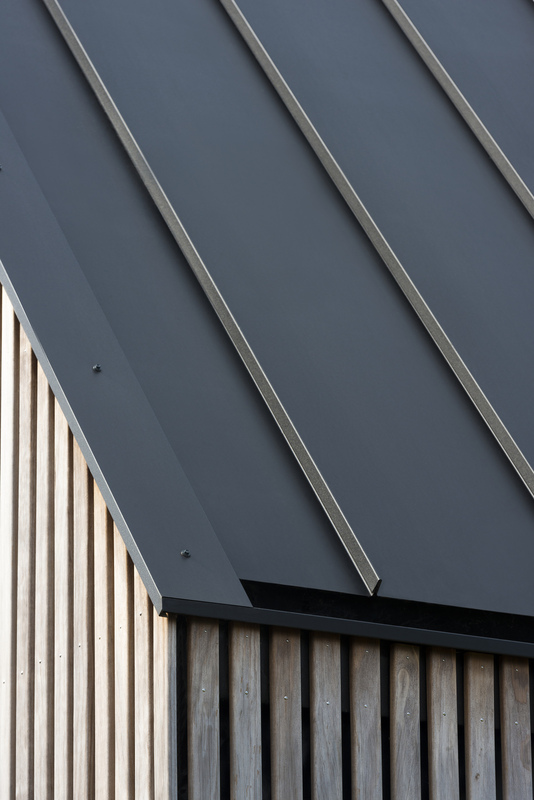 - Sustainable GreenCoat® color coated steel was used for the roof of the Dutch Longhouse due to the ability to create sharp lines for a very graphical house. 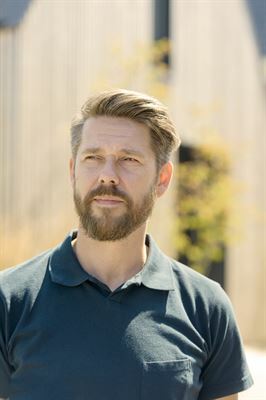 - Rick Eijsbouts, from Architecten Studio-pls, Eindhoven/Netherlands, chose to work with sustainable GreenCoat® color coated steel for its durability and low impact on the environment.